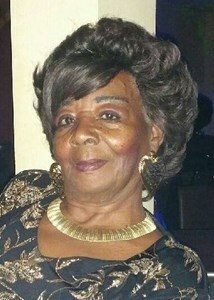 Juanita Marie Jacobs, 73, of Topeka, passed away Monday, February 4, 2019. She was born August 26, 1945, in Saint Joseph, Louisiana. She was a graduate of Soldan High School and was raised in St. Louis, Missouri. Juanita was employed by Jostens until retiring in 2011. Survivors include two children, Timothy (Michele) Jacobs and Angela Yvette Jacobs both of Topeka; 8 grandchildren; 4 great-grandchildren; sisters, Betty Wright and Ethel Grant, both of St. Louis, Missouri; and many cousins and friends. She was preceded in death by her mother, Vera Knights; dear friends, Cora Carr and Christine Williams; sons, Sean Grays and Matthew Jacobs, and a granddaughter. Juanita enjoyed fishing, dancing, bingo, music and socializing. Honoring her request, cremation is planned. A memorial ceremony will be held at 11:00 a.m. on Saturday, February 9, 2019 at True Vine Missionary Baptist Church, 307 SE Tefft St., Topeka, KS 66607. Dove Cremations and Funerals, Southwest Chapel is assisting the family. Memorial contributions may be made to Juanita Jacobs Memorial Fund, sent in care of Azura Credit Union. To leave a special message for Juanita’s family, please click the Share Memories button above. Add your memories to the guest book of Juanita Jacobs. I will miss Ms. Juanita cheering on her Patriots as I did Sunday when she didn't come to the Superbowl Party. I will also miss her doing her thang dancing around and searching for her money in all the different little purses she carried in her very large purse! We are so sorry to hear about your loss. I know how hard it is to lose your Mom. I won’t say the pain gets better but it spreads out so you can deal with it in smaller doses. Hug all the kids for me. And may got bless and keep you.